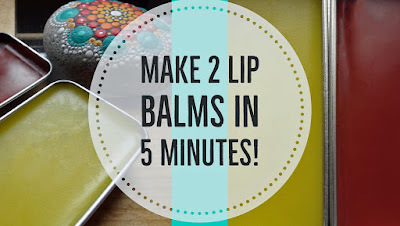 I do this a few times a month because it's so quick and easy! What kind of wax was used? Im sorry I'm new to all of this. Just last night I got rid of so many lotions, hair products, makeup that was infused in toxins. My diet is clean but I never once thought about how toxic my everyday use of products were to me until just last night! So glad to hear you have taken control of your health! Luckily there are lots of great companies now offering safe products...but be sure to always read the ingredients because their are also lots of companies who greenwash their products, making people believe they are healthy when they are not. Making your own is always a great option, it saves you money and you know for sure what's in it. 😊 For my balms I use organic beeswax but for those who are vegan, carnauba wax can be used https://www.youtube.com/watch?v=d5djI649xSE I do prefer the bees wax balm.